DIXON… State Representative Tom Demmer (R-Dixon) announced today that Public Library Construction Act Grant Program checks to complete library construction projects funded in Fiscal Year 2013 with Build Illinois Bond funding will be issued in the coming week, including to the Sandwich Public Library District for $89,928.69. The Public Library Construction Act grants are administered through State Librarian and Secretary of State Jesse White’s office and were funded in FY 13 as part of the Build Illinois Bond program. The project grants were aimed at assisting communities with costs for new library construction. 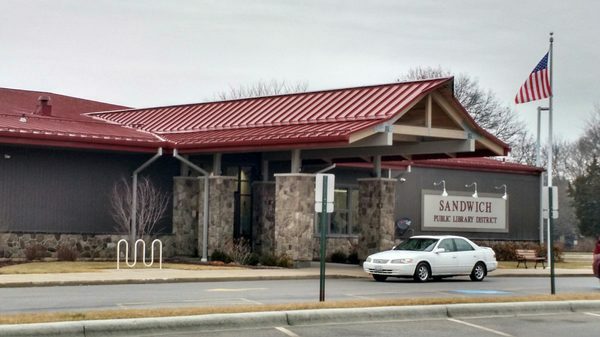 The new building for the Sandwich Public Library opened in late 2014 at 925 S. Main Street in Sandwich. This grant check is the final installment of the funds granted to Sandwich Public Library District to help cover construction costs. More information on Sandwich Public Library’s programs, services, and events can be found at http://www.sandwichpld.org/. Rep. Demmer can be contacted at his district office located at 1221 Currency Court, Rochelle, IL 61068 or by calling the office at (815) 561-3690.